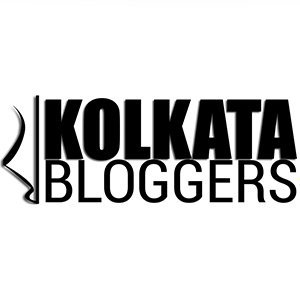 December 8, 2017 December 8, 2017 Categories Event, Newscoworking, coworking space, kolkata office, my cube, my cube coworking, office space kolkata, office space sharingLeave a Comment on My Cube – The coworking space in Kolkata that’s trending these days! Ever since I passed out of college nearly 11 years ago, I have been working for a multinational organization in a typical corporate office environment! I am used to this environment and its perks but sometimes when we have to work from home or from some place outside the office, we realize we are really missing out on the facilities available in our office space. What if we were given all the facilities available in our office outside the office? But then there is a price tag attached to everything, nothing is free in this world. And when we are talking about these office facilities they generally cost you loads for hundreds or thousands of employees. But there is a place in Kolkata that gives you the working space and facilities of an office and you pay the price for only the service which you are using, nothing else. The place is called ‘My Cube’; it provides us a ‘coworking’ space – a concept pretty new in Kolkata! ‘My Cube’ is a shared working environment for professionals from different fields and sectors. It is a place, or rather an office space where individuals can work as per their convenience in a felicitous working environment sharing the space as well as ideas with personage from other sectors. Be it a fashion designer, restaurateur, coder, freelancer, corporate or a blogger it gives them an opportunity to interact with people from different backgrounds and work individually together under one roof at their convenience. This office space is equipped with all modern amenities and is a one-stop solution for the new age entrepreneurs for a hassle-free growth-oriented working culture that takes away your worries about maintaining your office space, infrastructure along with its repair, maintenance, etc. So, as you can get co-working means all those employees working together in that office space is not necessarily employed by the same employer and they can belong to different organizations with a different professional background. It is generally a boon for people who do not have a fixed office space in the city and prefer not to work from home to concentrate a little better on the work and to be in that ‘work mode’ amongst other dynamic working professionals. Freelancers often tend to opt for co-working space for this very reason mentioned above. The concept was first started about a decade ago in San Francisco and it is getting popular ever since. The structure and community which are built in a co-working environment are beyond our imagination and hence these co-working venues are thriving rapidly in the US and other parts of the world. In Kolkata, this concept is pretty new and it will take a bit of time to sink in, but I am sure the dynamic entrepreneurs and freelancers in the city will soon get a hang of the benefits of this collaborative working environment and start pouring in at ‘My Cube’. My Cube offers state-of-the-art office space with all the amenities within a pocket-friendly budget. This is an 1800 sq ft office space with a seating capacity of sixty. The place has got perfect lighting, acoustics, vibrancy, cleanliness and is definitely very spacious. It has classy, colorful, quirky interiors with all basic amenities like Wi-Fi, storage, mailing, reception service, CCTV surveillance, courier service, printers, beverages, cafeteria, library, gaming zone and car parking. It also has a convenient and prime location near Minto Park at the FMC Fortuna building beside Nizam Palace which cannot be ignored either! Now a day, the cafes of metro cities are coming up with stopgap work areas for small meetings and other official gatherings whose clamorous surroundings ultimately cause only distraction of mind and the work hardly gets done the way it was intended. But co-working space like ‘My Cube’ with all the elemental features of a cafe means only business and surely will be the ultimate solution for an individual to cultivate the entrepreneurial spirit with other like-minded high-flyers in the city. ‘My Cube’ is the brainchild of Mr. Vandan Churiwal, a Finance graduate from the University of Warwick. He initiated his métier with this co-working space in the city of joy with an aspiration to bestow a hassle-free, growth-oriented working culture to the budding entrepreneurs of the city. My Cube is Vandan’s start-up idea and so he is actually servicing the start-ups through a start-up of his own, that’s the best and the most interesting part of this venture! Coworking is surely a new and untapped field in Kolkata and he has surely made an excellent start to his career by realizing the potential in this field. This business acumen and thinking surely deserve a round of applause and I sincerely appreciate it. Hey Kolkata, what are you waiting for? Don’t sit back and think you don’t have a place to set up your office or fuel the growth of your start-up! ‘My Cube’ is here to help you march ahead and develop more start-ups and take them to the next level. This will surely create more job opportunities in the city and more young minds will feel encouraged to start their fresh ventures when they know they need not worry about the office space and related infrastructure issues! Please do visit My Cube at your earliest and check out the space and the amenities for yourself, I am sure you won’t find a better place in the city to work from. ADDRESS: ‘My Cube’, Block A-11, 4th floor, FMC Fortuna, 234/3A AJC Bose Road, Kolkata – 700020. Previous Post The Bhoj Company – Mecca of Dhakai food lovers in Kolkata! Next Post The Phuchka Parlour – lip smacking unconventional take on the phuchkas and chaats! !